It's no shock to see a compilation of Sega games hit the shelves in 2016. As a prolific publisher responsible for hardware that collectively held thousands of games, it has every right to celebrate its history. And it has, many times over. The house of the blue blur has churned out so many multi-game packages over the years that it could form a collection-collection for no other reason than to baffle all parties involved. While these bundles offer tremendous deals to consumers in the short term, they regrettably dilute the value of future releases when released in succession across countless platforms. 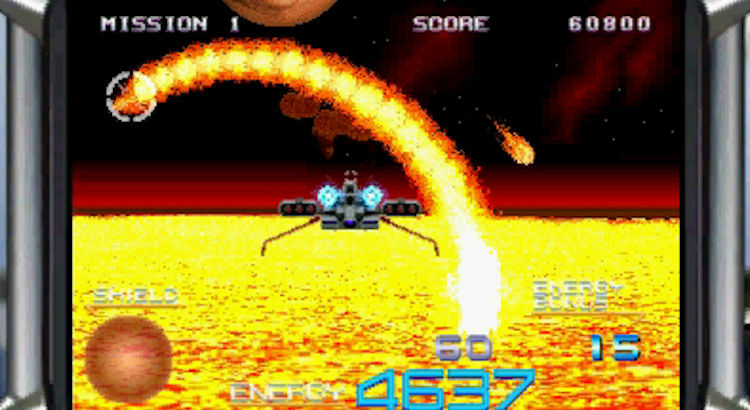 Related reading: Matt's review of the Xevious 3D classic, released to eShop. Sega 3D Classics Collection, though, has the rare opportunity to differentiate itself and gift newfound prestige to each title inside it. With this release, Sega has scaled back raw quantity and instead hand-picked releases from the late 80s to mid 90s that exemplify the creativity of not just the era but the company itself. At the time all the games in this collection were released, Sega was willing to fire out new IPs at the drop of a hat and these took on every form and genre imaginable. Not every experiment went on to become a juggernaut franchise, but playing these games back today, it’s impossible to deny the raw ingenuity on offer. 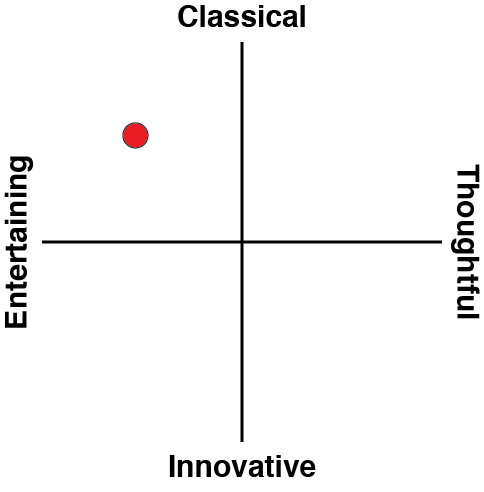 So, what about 3D Classics Collection catapults it above past releases? It’s a deceptively simple combination: the obvious 3D visuals and developer M2's knack for emulation. Perhaps "emulation" is a misnomer in this case, though, because the ten or so titles available here actually had to be re-coded to competently demonstrate the eponymous 3D feature. As a result, these games aren't quite like the iterations you might have played before and that extra work often pays dividends. I’ll be honest. We’re half a decade into the 3DS’ lifespan now and I find myself forgetting the supposed key feature of the console even exists. While Nintendo did release its own series of 3D Classics on the eShop much earlier in the console’s life, I found its choice of games to receive the treatment underwhelming and games rarely benefited beyond visual fluff. Sega’s properties, though, fit as snug as a latex glove on a hand. The company was always toying with the idea of 3D visuals using 2D sprites in the arcade so in many cases, this compilation actualises what the developers sought out from the get-go. Once you ease yourself into that mindset, Sega 3D Classics transcends the typical "dump some ROMS and throw in random bonuses" philosophy adopted by the vast majority of compilations out there. The result is more like a new-age portable arcade. You're not going to find the richest, deep experiences in all of these games (especially because they opt for the arcade versions wherever possible, which means you’re not getting the extra modes of the home console equivalents), but the sheer diversity in both genre and 3D utilisation means each game is more novel than the last. You’ll dispose of baddies beat ‘em up style in Altered Beast, blast through the obligatory Sonic side scroller, achieve combo-based puzzle nirvana with Puyo Puyo 2, experience the gear-shifting thrill of Power Drift, and wander like a lost child in a grocery store with Maze Walker. Throw in three varied, atypical shooters (Fantasy Zone II, Thunder Blade, and Galaxy Force II) and the only bit of Sega’s most daring years that’s missing is a JRPG in the vein of Phantasy Star or Shining Force. The range of effects used to demonstrate 3D is equally impressive, ranging from game-changing to subtle. This means games classic Sega connoisseurs have likely beaten before are somehow refreshing here. Sonic the Hedgehog, which is available on every platform short of LCD thermometer strips, manages to be a familiar but refreshing outing when rendered with a diorama style. The 3D visuals don’t define the experience but accentuate its vivid stages by layering the background and foreground. Related reading: Matt's review of 3D remaster of Kirby's Adventure, available from the 3DS eShop. The only game that fails to convey the value of 3D is Puyo Puyo 2. Despite being an incredibly proficient puzzle game, has no business meddling with the third dimension because of the fast-paced, precision gameplay that takes place on rather tame backgrounds in a confined space. It’s worth a spot in just about any Sega collection due to its status as a rare Japanese import and compelling single player campaign (not to mention that Puyo Puyo is just awesome), but I question why the game was selected for a makeover at all. But the games that do work in 3D…boy, do they ever work. Try as you might, you will not find a better version of Galaxy Force II anywhere. The 3DS absolutely perfects the effect the sprite-based illusion of three dimensions the game strived for decades ago. Likewise, Thunder Blade, a shooter that takes place from an overhead perspective with varying altitudes, now has tangible vertical depth to it that vastly improves the experience. A good portion of the 20+ year old game’s challenge stemmed from understanding how to grasp all the action because learning to judge distances was a chore, but here that entry barrier is completely eradicated. 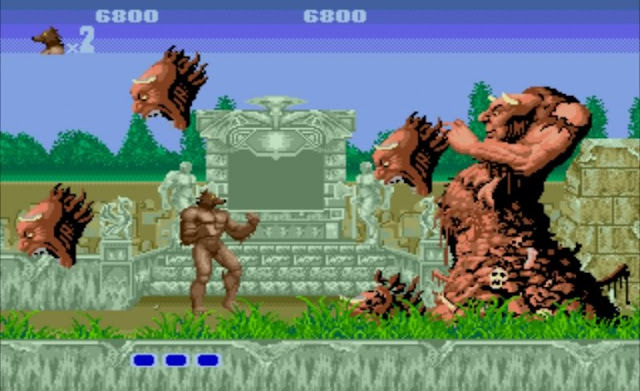 For the more tedious games such as Altered Beast, M2’s emulation features such as the requisite save and load options come in handy. I won’t lie – some of these games can be tedious and simply won’t appeal to a younger generation that yearns for instant gratification. 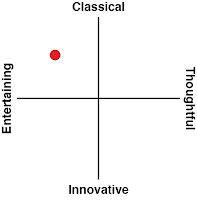 The save states allow a broader audience to immerse themselves deeper without frustration. Beyond that, the features are pure, blissful fanservice. Ever wanted to select a game's levels at will, switch between the Japanese and international versions of a game, or save replays? You can and few, if any, other companies bother to implement such veteran-pleasing tweaks. The most disappointing aspect of 3D Classics Collection is not the game selection or polish but its absence of any real bonus content such as history or artwork. I can appreciate that these games were released as individual downloads and as such there might be some sentiment about not grating customers who bought those, but past Sega collections have never shied away from this. 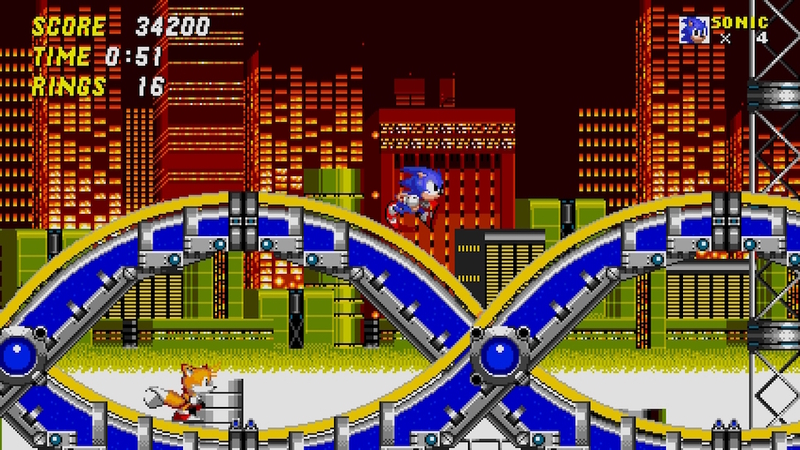 In fact, because Sega’s choice of games was so wonderfully outlandish, there couldn’t have been a better time to give these games historical context. In the case of Altered Beast, understanding how revolutionary it was compared to other arcade offerings at its time of release is absolutely pivotal to play it in 2016. It’s the only game I can’t defend as being legitimately enjoyable but could have been a worthwhile addition if it was framed favourably with assets that highlighted its virtues. It’s a crying shame because virtually all of the titles represented here defy genre norms in some way, have remarkable back-stories to their release and development, or feature an outstanding sense of style that warrants investigation. Wouldn’t it be nifty for the younger generation interested in one of gaming’s eldest companies to learn that Puyo Puyo actually began as a Compile (now Compile Heart) franchise? If nothing else, some vanilla artwork or trivia would have injected personality into what is sadly a barebones menu housing nothing but games and the credits. 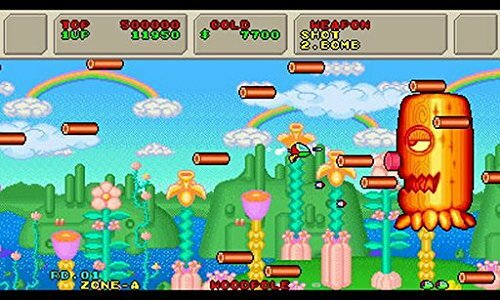 Related reading: Matt's review of Twinbee; yet another 3D classic available on the eShop. 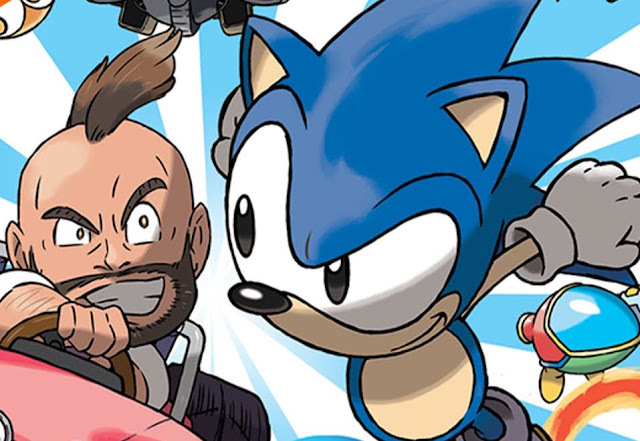 Sega 3D Classics Collection doesn’t have the finest selection of mainstream hits Sega could have assembled, but that curious nature is precisely what makes it so special. Had only the most beloved fan-favourites been given the 3D makeover, I simply wouldn't have walked away with the same sense of awe. M2, using retro games of all things, reminded my cynical self that the hardware's 3DS’ key selling points can enhance a game beyond the superficial. Newcomers will have to research themselves because the game certainly offers no historical perspective, but do so and you’ll walk away gleaming appreciation for now-overlooked classics that left their mark on the industry.